Architects have been intrigued by prefabricated construction since the early twentieth century. Recent advances in design, engineering and manufacturing processes have led to a significant expansion in the use of pre-assembled components, which are fitted to finished structures on site. Collectively, such processes are becoming known as "offsite construction." A ground-breaking text, Offsite Architecture establishes the current – and future – state of thinking in this field. A range of the most highly regarded thinkers and practitioners from around the globe share their ideas and practical findings on offsite prefabrication, examining theory and practice, opportunities and challenges, successes and failures. A timely response to the growing interest in this method, the book provides the fundamental basis for a critical, reflective approach to offsite architecture. 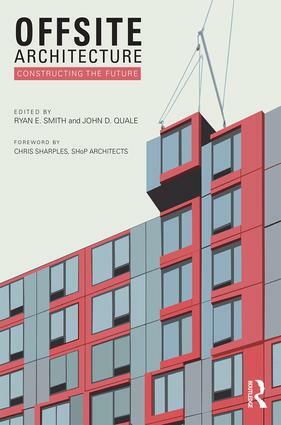 Contributions from both academics and professionals make Offsite Architecture required reading for practitioners as well as students taking courses in architecture, prefabrication, construction and engineering.